Startup animation (scroll up whole clock), is causing hiccups in Stopwatch. During Profiling I notice that stratup animation (scroll up whole clock), is causing hiccups in Stopwatch. - Stopwatch is caunting without hiccups. 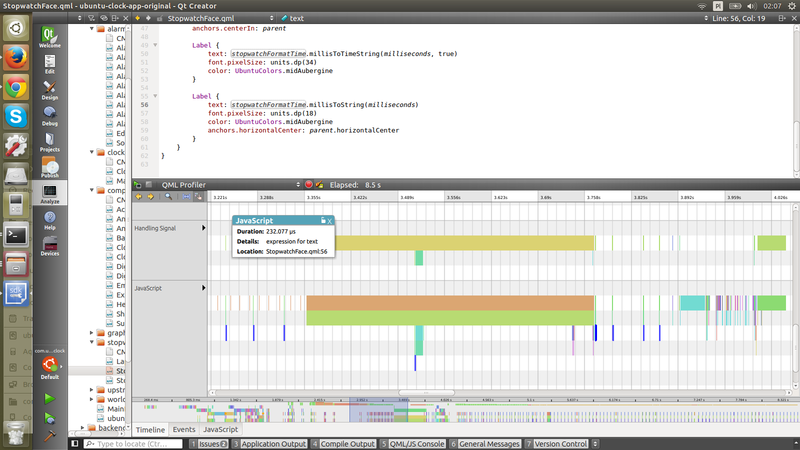 More details in attached screenshot of profiler. Since we are in the stopwatch page, we could avoid showing the startup animation and load the alarm model only when the user goes to the clock page. That should fix this issue. Is this issue still reproducible? I believe Florian's work on improving the startup animation should have fixed this. Please confirm. Marking incomplete for now.